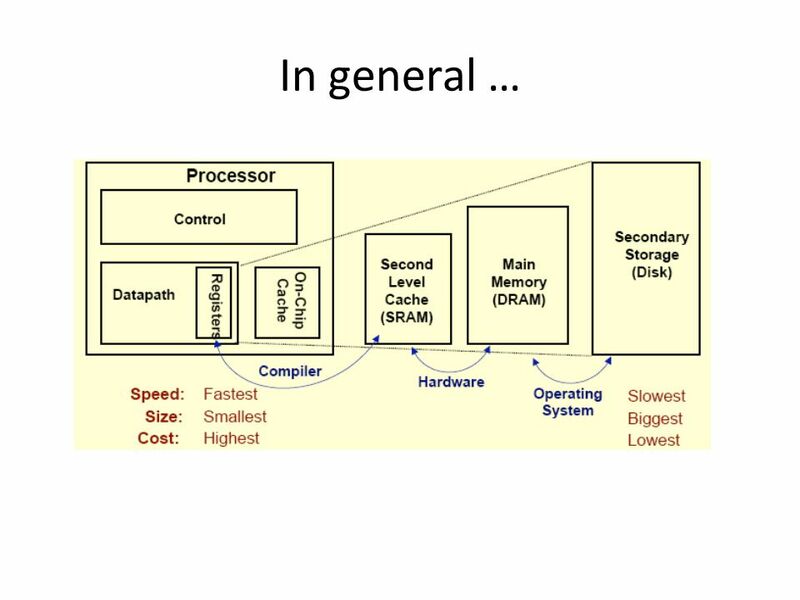 13 Caching Important principle, performed at many levels in a computer (in hardware, operating system, software) Information in use copied from slower to faster storage temporarily Faster storage (cache) checked first to determine if information is there – If it is, information used directly from the cache (fast) – If not, data copied to cache and used there What is cache for disk (e.g., secondary memory)? 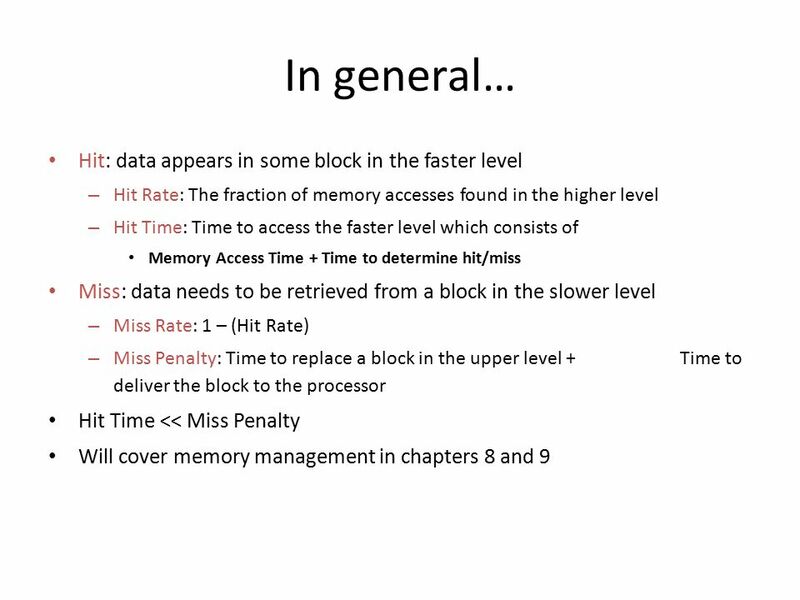 18 Caching Temporal Locality (locality in time) – Recently accessed items tend to be accessed again the near future – Keep most recently accessed data closer to the processor – In the analogy? 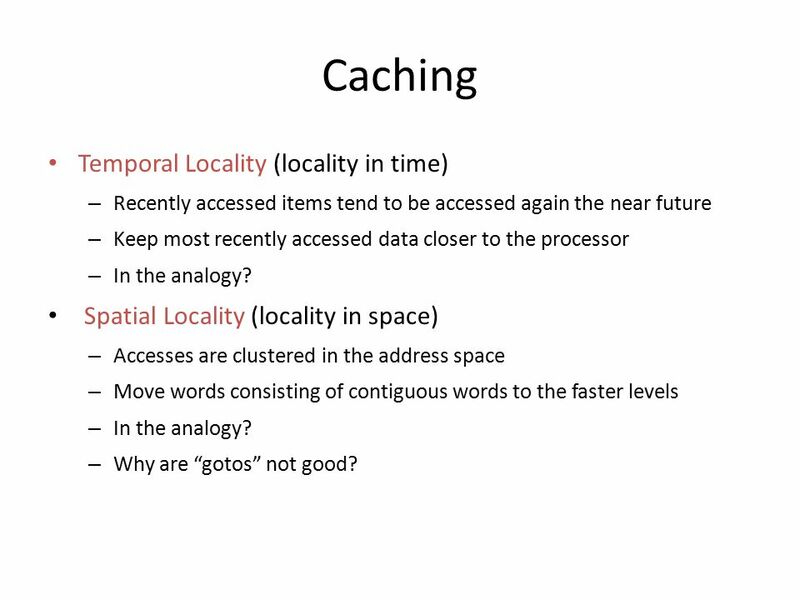 Spatial Locality (locality in space) – Accesses are clustered in the address space – Move words consisting of contiguous words to the faster levels – In the analogy? 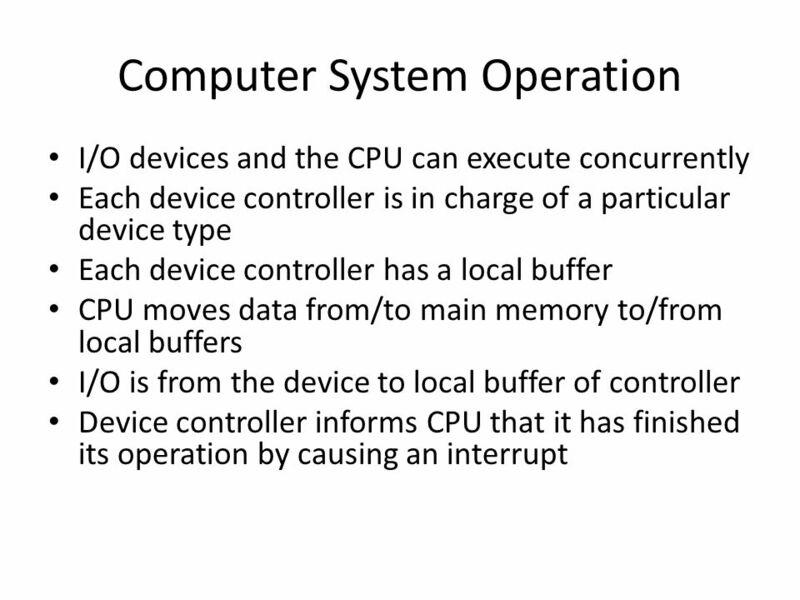 – Why are “gotos” not good? 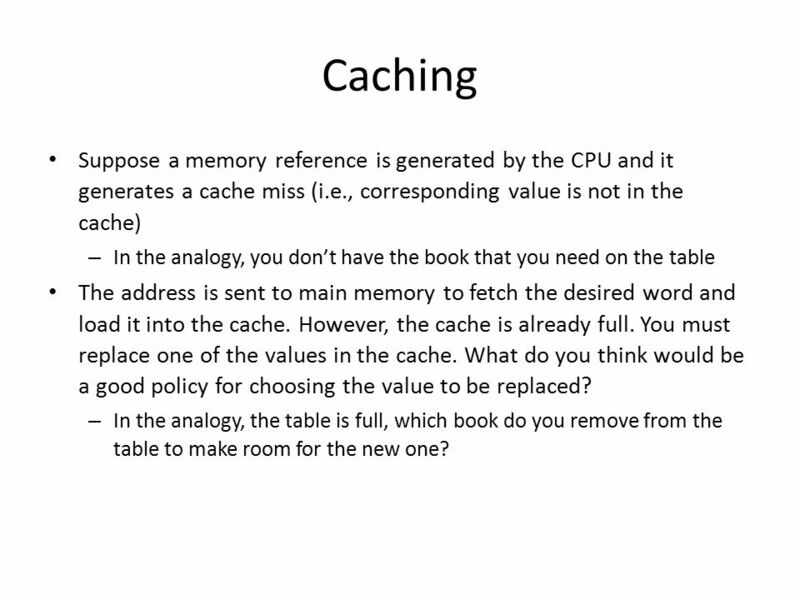 20 Caching Suppose a memory reference is generated by the CPU and it generates a cache miss (i.e., corresponding value is not in the cache) – In the analogy, you don’t have the book that you need on the table The address is sent to main memory to fetch the desired word and load it into the cache. 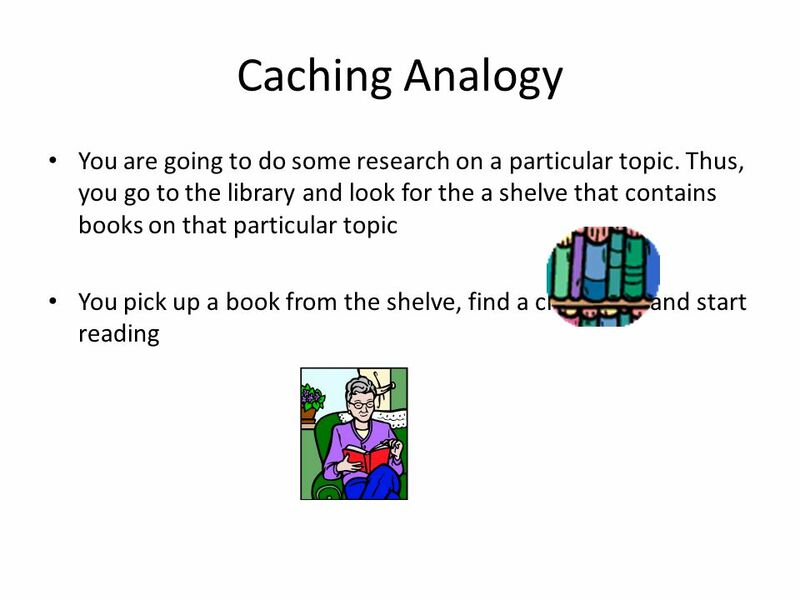 However, the cache is already full. 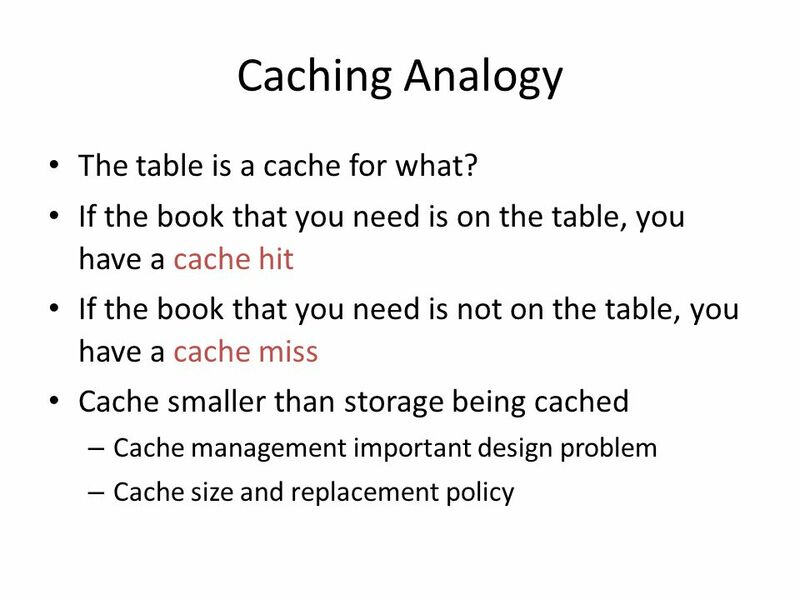 You must replace one of the values in the cache. 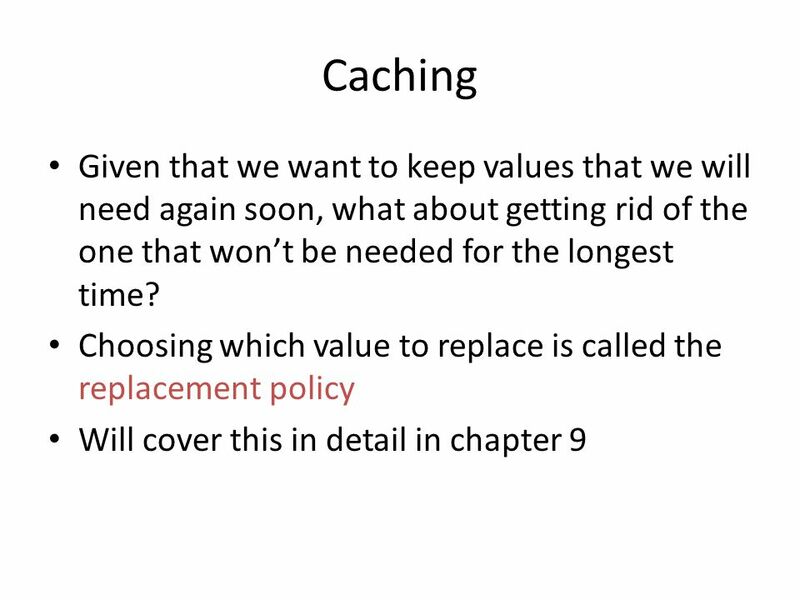 What do you think would be a good policy for choosing the value to be replaced? 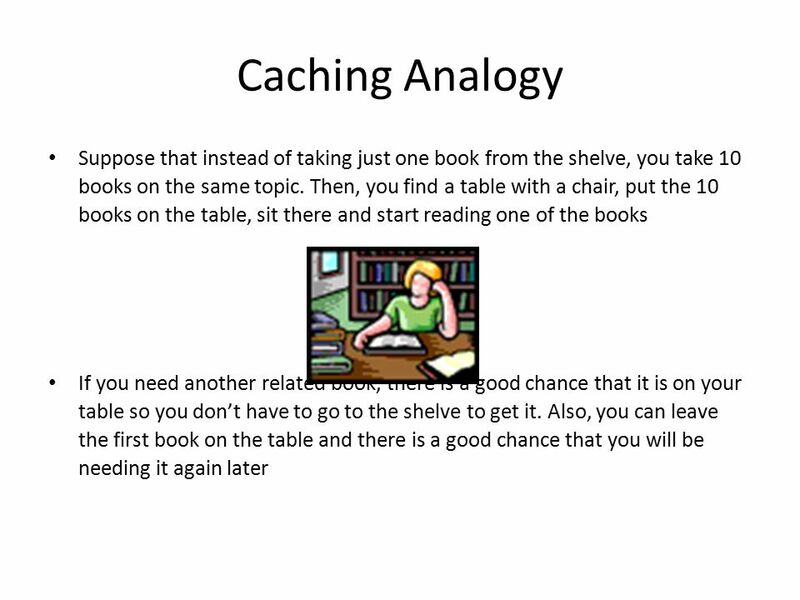 – In the analogy, the table is full, which book do you remove from the table to make room for the new one? 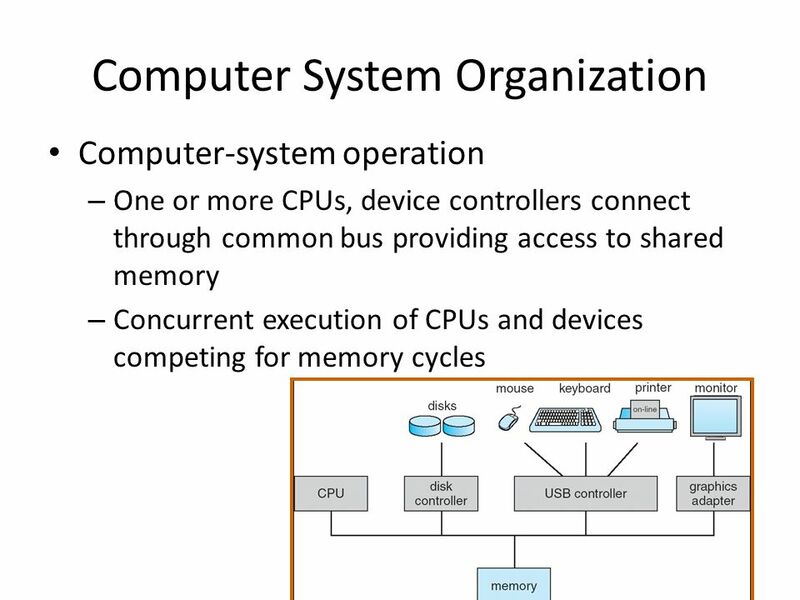 Download ppt "Computer System Organization Computer-system operation – One or more CPUs, device controllers connect through common bus providing access to shared memory." 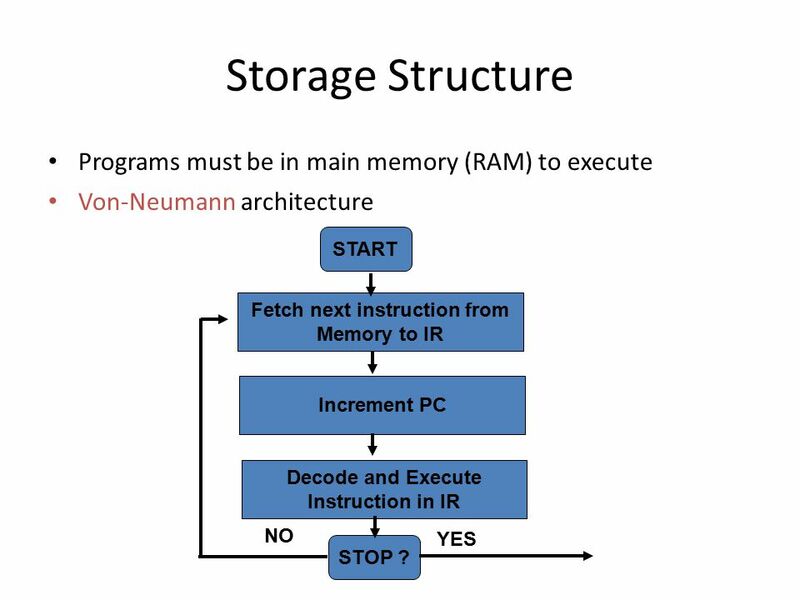 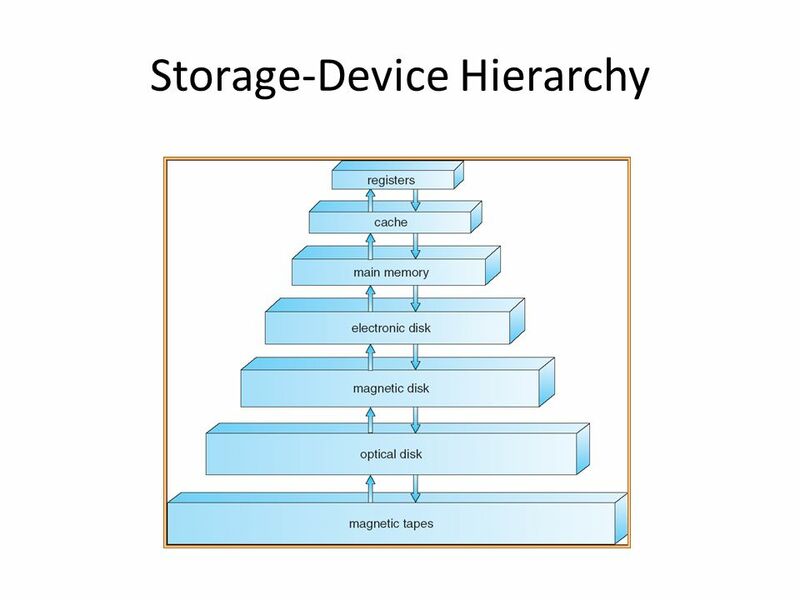 Silberschatz, Galvin and Gagne  Operating System Concepts Chapter 2: Computer-System Structures Computer System Operation I/O Structure Storage. 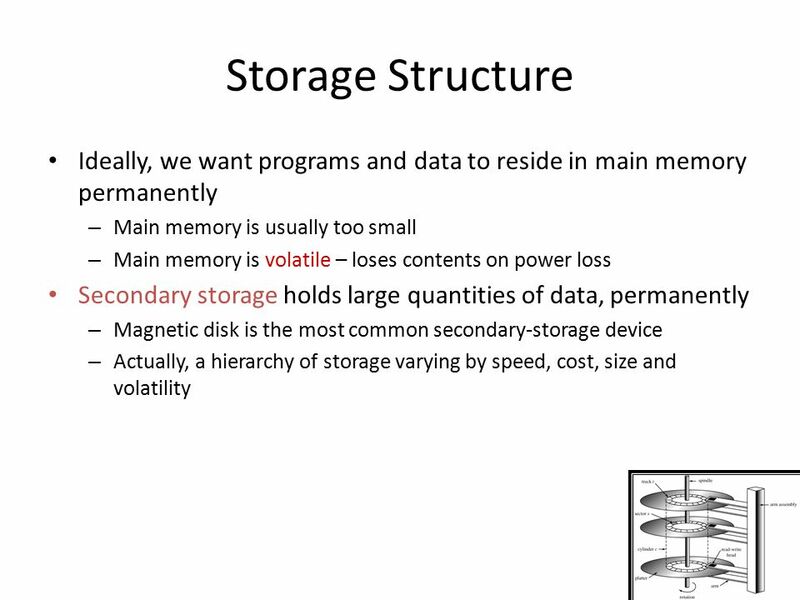 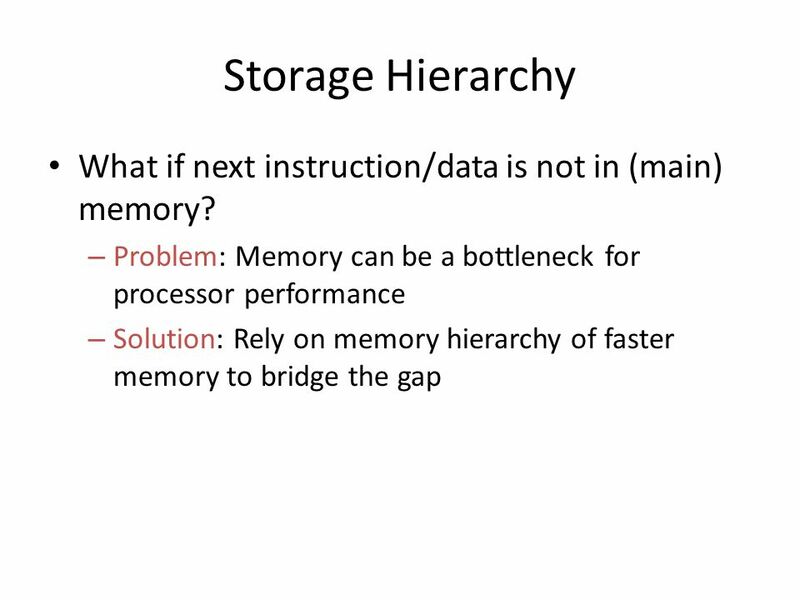 1 Lecture 20 – Caching and Virtual Memory  2004 Morgan Kaufmann Publishers Lecture 20 Caches and Virtual Memory. 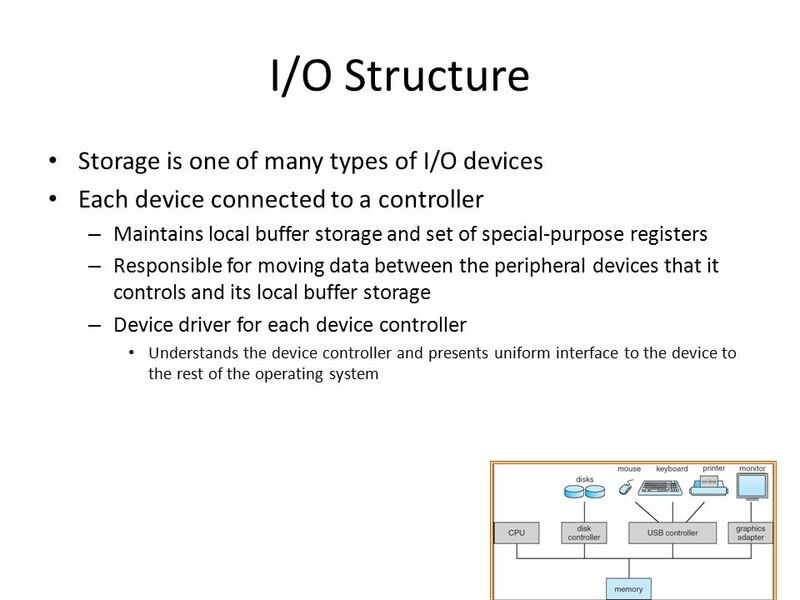 1 Lecture 2: Review of Computer Organization Operating System Spring 2007. 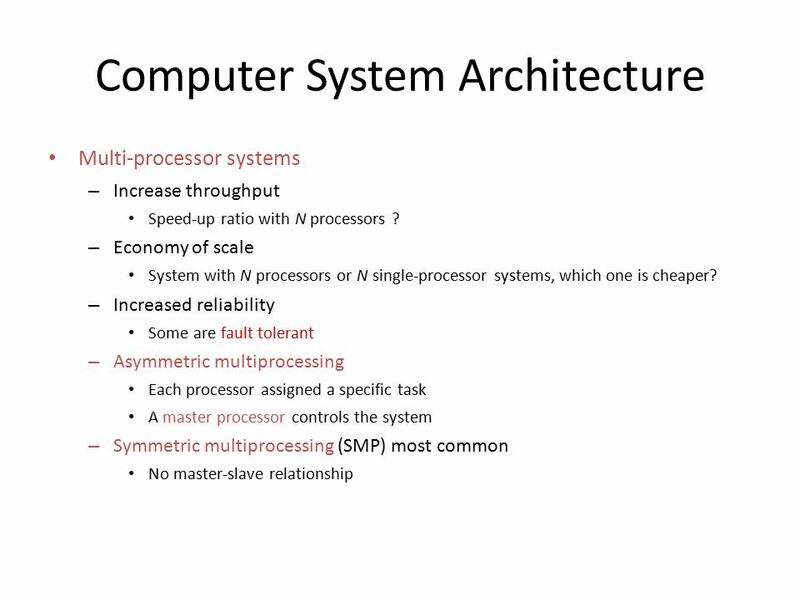 Abhinav Kamra Computer Science, Columbia University 2.1 Operating System Concepts Silberschatz, Galvin and Gagne  2002 Chapter 2: Computer-System Structures. 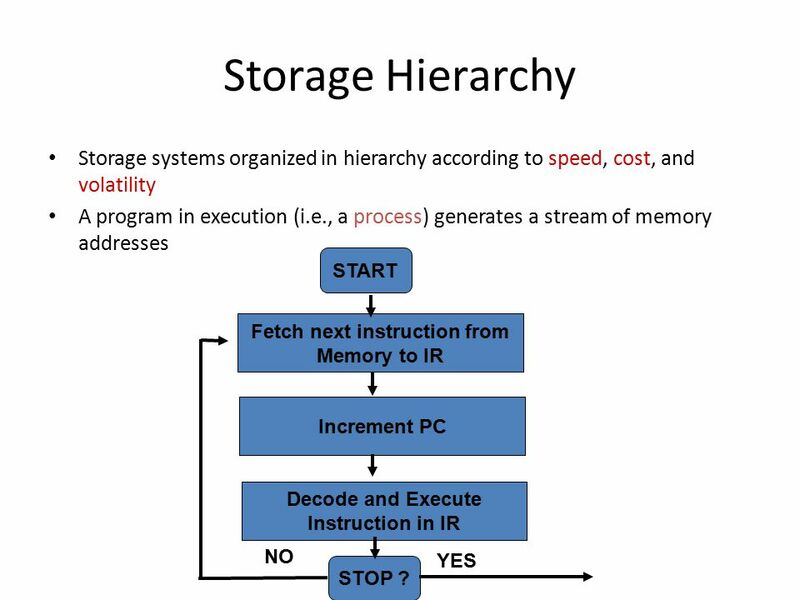 Midterm Tuesday October 23 Covers Chapters 3 through 6 - Buses, Clocks, Timing, Edge Triggering, Level Triggering - Cache Memory Systems - Internal Memory. 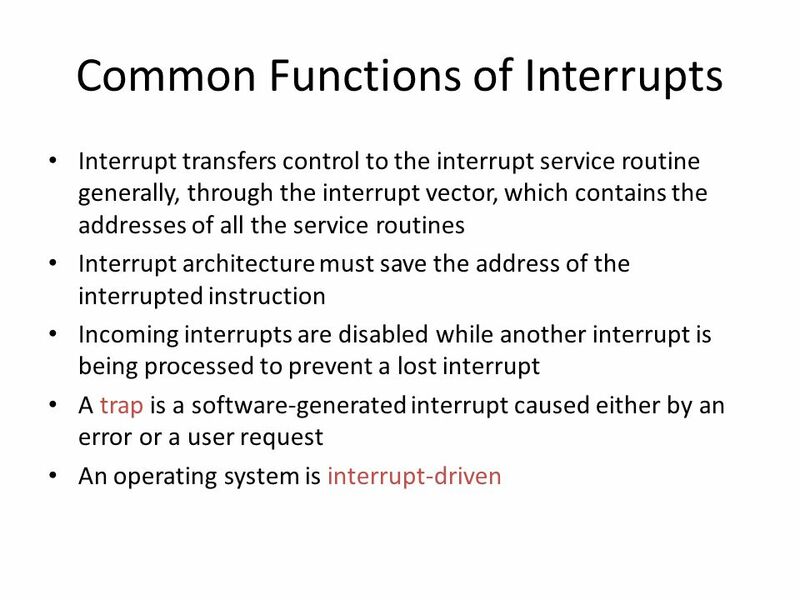 Modified from Silberschatz, Galvin and Gagne ©2009 CS 446/646 Principles of Operating Systems Lecture 1 Chapter 1: Introduction. 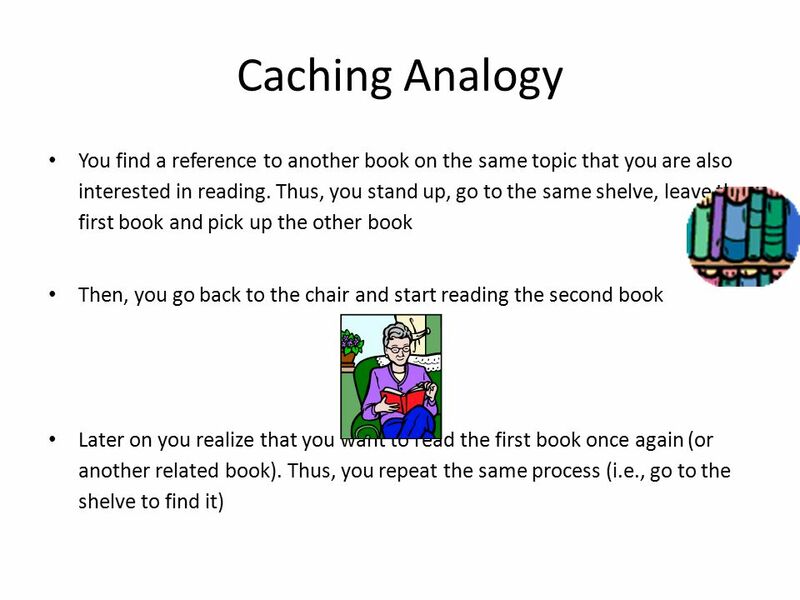 Chapter 1.2: Introduction These slides, originally provided by your authors, have been modified by your instructor. 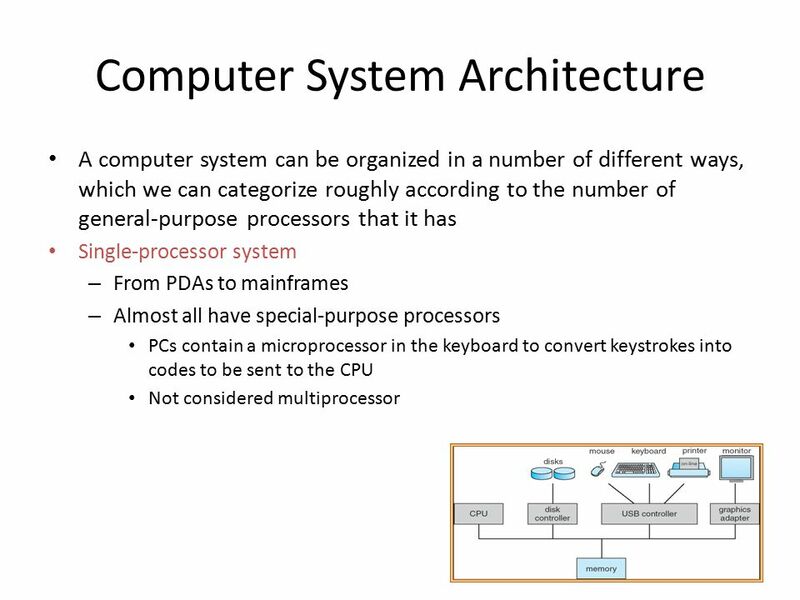 Computer System Overview Chapter 1. 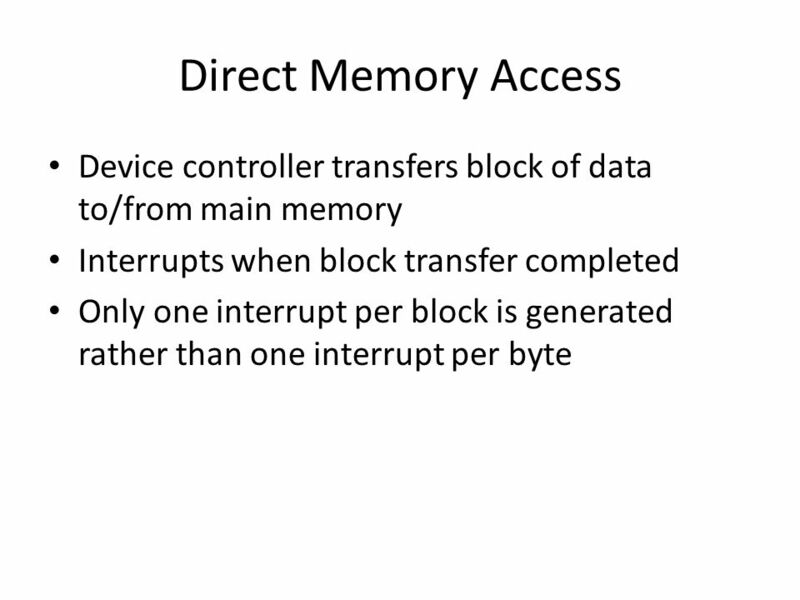 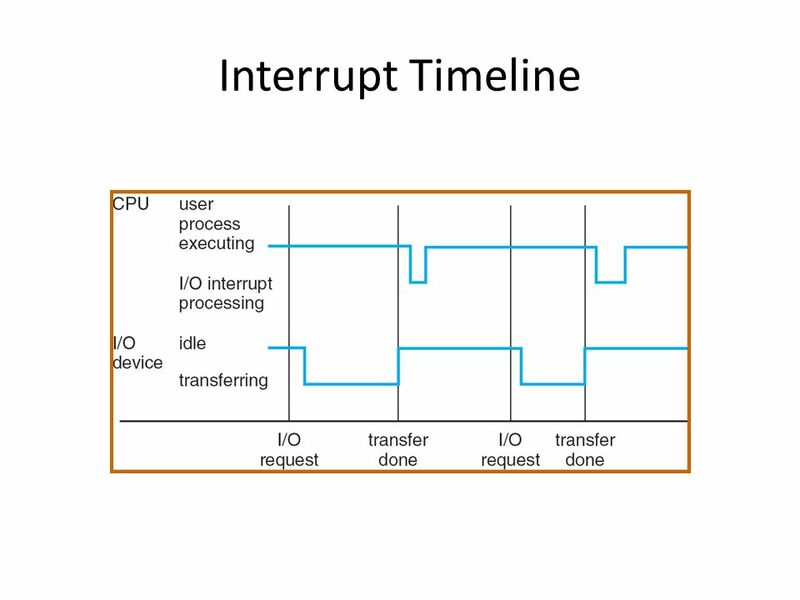 Basic computer structure CPU Memory memory bus I/O bus diskNet interface. 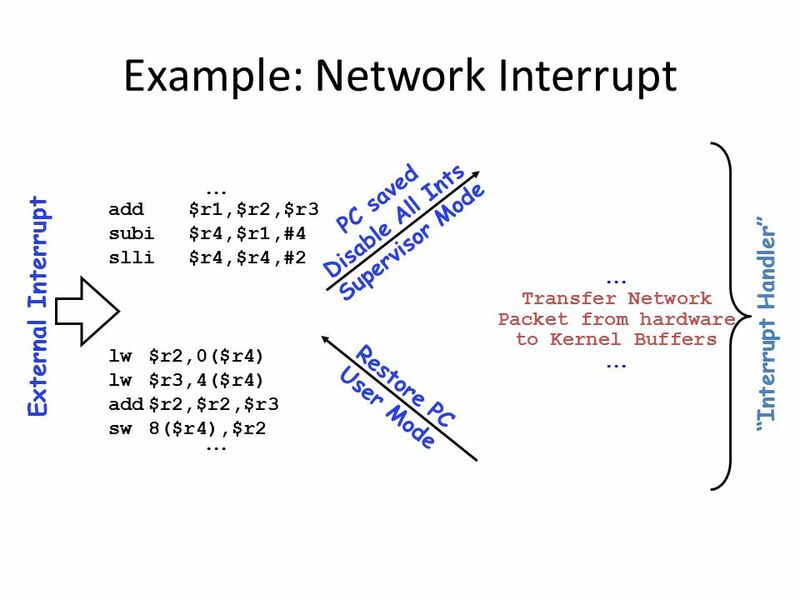 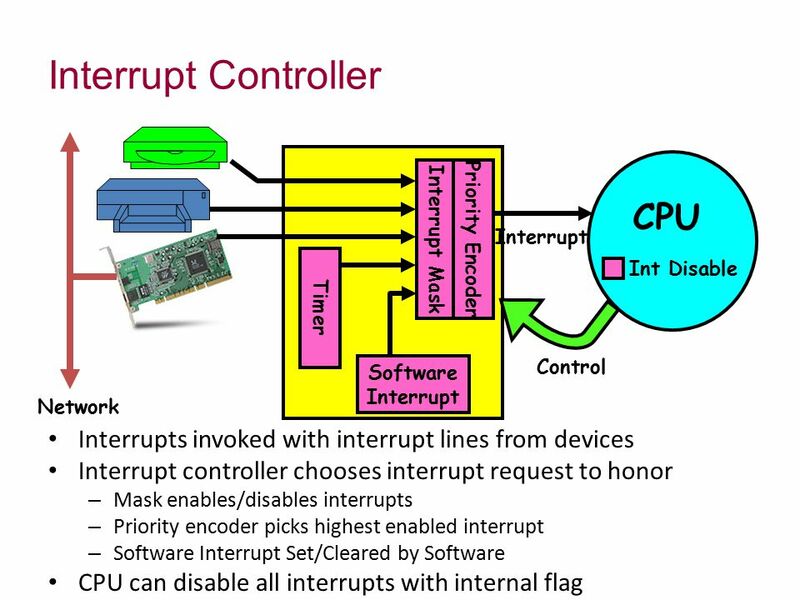 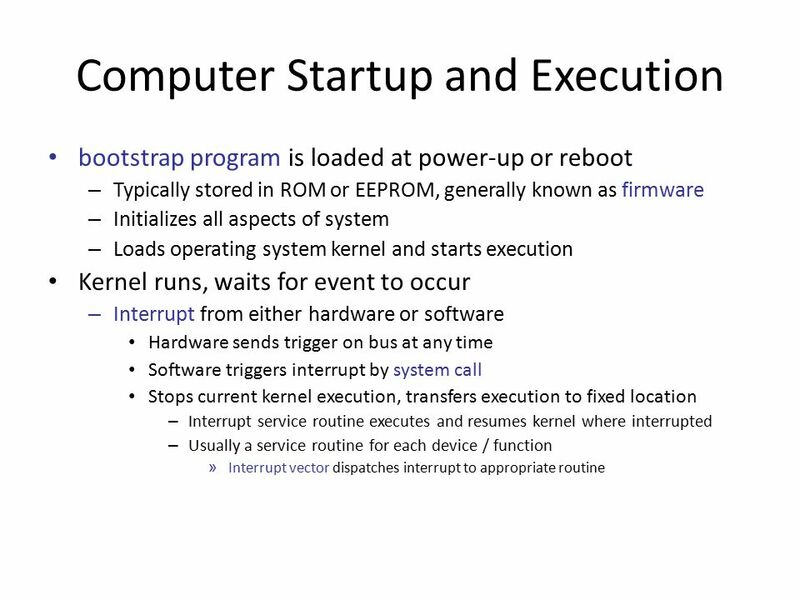 CE01000-3 Operating Systems Lecture 2 Low level hardware support for operating systems.